The 15th Annual MIDWEST SPEED EXPO is just a few months away! The venue is the beautiful ORR BUILDING at the Illinois State Fairgrounds in Springfield, Illinois, just inside Gate 9! The show promises to be the best yet in our 15 years. As many of you know, the last few years we have awarded a Driver of the Year award, this year we are honoring all of the drivers and all of our show attendees by giving everyone in attendance a chance to win a 2018 4 wheeler! On Sunday the 14th, we will draw one lucky name and award them an extremely nice DOOR PRIZE! 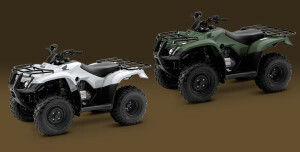 A BRAND NEW 2018 HONDA Recon 4 Wheeler ATV! WINNER MUST BE PRESENT WHEN DRAWING IS HELD, therefore only those in attendance on Sunday with a paid admission will receive an entry for the giveaway. Our vendors will also be eligible and will have their name entered into the drawing. 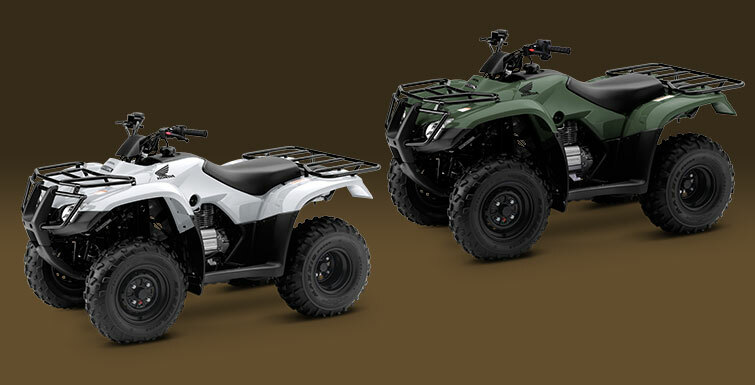 In addition to receiving an entry when you purchase your armband on Sunday, all those who purchase their 2018 UMP licenses at the event on Sunday will receive a bonus entry into the drawing for the ATV. ***KEEP IN MIND, YOU MUST BE PRESENT when the drawing is held on Sunday to win. We have several sponsors who are participating in making this possible, we will be announcing those soon. Show hours for the 15th Annual MIDWEST SPEED EXPO are 9:00 A.M. to 3:00 P.M. on both Saturday and Sunday, January 13 and 14, 2018. What better way to spend a Saturday or Sunday just before the start of the new season? The MIDWEST SPEED EXPO is your opportunity to look over and purchase both new and used parts for your racing program as well as to talk with representatives from area tracks to catch up on any rule changes. 2017 vendors included: Arizona Sport Shirt and GOTTA RACE, Allstar Performance, ALLGAIER Motorsports JRi Racing Shocks, Allen Automotive, Alliance T-Shirts, BSB Manufacturing, B-HAM Signs and Designs, Bad Dog Tools, Larry Bantz, Bland Bros. Enterprises, Rodney Bowman Racing, Roger Brickler Racing, Larry Bunning Motorsports, Blaze and Jimmy Burwell Motorsports, Marvin Burton, C&S Carburetor, Central Illinois Dragway, Central Illinois Sign Company, Jeremy Conaway Motorsports, Cerro Gordo Speedway, Checkered Flag Graphics, CILTRAK, Broan Crebo Performance Parts, Davenport Performance, Lance Dehm Motorsports, DIRT OVAL at 66, Downunder & Dirty Driving Experience, DYER’S Top Rod, E&E Motorsports, Chad Evans Motorsports, Fairbury Speedway, Farmer City Raceway, FAST MEMORIES, Springfield Speedway 1947 – 1987, Five Star Racing Engines, Terry Gallaher Motorsports, GATEWAY Motorsports Park, Jake Griffin Racing, Griffin Performance, Doug Haack Vintage Racing Photos, Hammond Motorsports, Tim Hancock Racing, Keith Harre Motorsports, Hoerr Racing Products, Hoosier Tire Midwest, Illinois Stock Car Hall of Fame, J.C. Race Parts, Jacksonville Speedway, KBC Graphix, KRJ Race Products, Kevin Kimmons Racing, Steve Lance, Jr. Motorsports, Tim Lance Motorsports, Jeff Leka Motorsports, Landrum Performance Springs, Eric Little Motorsports, Mackay Engines, Macon Speedway, Midwest Open Wheel Association, Andy Minett Racing, Chuck Mitchell Motorsports, Roy Mitchell Racing, Mittler Bros. Machine and Tool, Muscle Car Performance, OUT-PACE Products, Performance Engineering & Manufacturing, Phenom Apparel & Wraps, Bob Pierce Race Cars, Pistoncoating.com, Quincy Raceways, Racemarc, Radical Race Gear, Rhoads Racing Promotions, Rural Route Repair, S&R Creations, Brandon and Stevie Sheppard Motorsports, Sherman Enterprises, S&R Creations, Rod Smith, Speed Custom & Performance, Steinjager Co., Turpin Racing, TRACK ENTERPRISES, Steve Thomas Motorsports BELL Safety Equipment, Speedway Illustrated Magazine, Toolin’ Around, UB Machine, Greg Wagoner – Pines Automotive, WEHRS Machine and WICK Racing Fuels and Incredible T’s and Z-Girl Racewear.